Some of these pages have yet to be commissioned. From time-to-time we will aim to expand the information and guidance provided in this section of the website. If you have suggestions, please send us a message below. and guidance you or your club may require around any aspect of development. 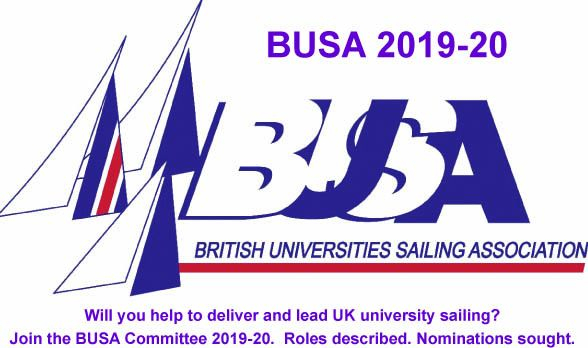 Join the BUSA Committee 2019-20. See the available Roles and how to apply on-line by the deadline on 1 April at the latest. After all their work through the winter – auditing their environment, acquiring reusable bottles, installing spill kits, demonstrating ‘spill, clean and dry’, halting the spread of alien species, promoting good environmental practice, working with host clubs, team building……...the winners celebrate the experience....and the winning. Meanwhile, The Green Blue announces a 2019-20 Challenge. 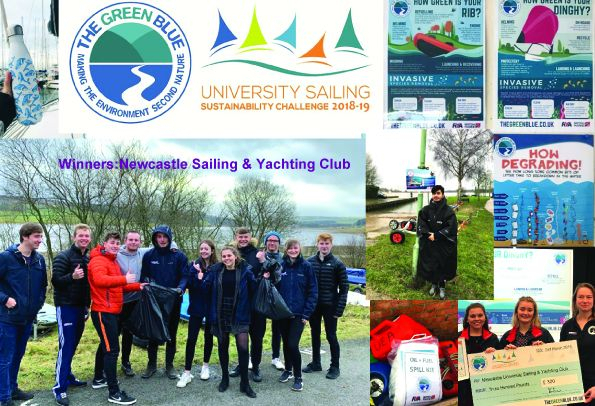 Newcastle University Sailing and Yachting Club were the overall winners of the University Sailing Sustainability Challenge 2018-19, presented by BUSA President, Peter Saxton, on behalf of the RYA and British Marine’s joint environment initiative ‘The Green Blue’. 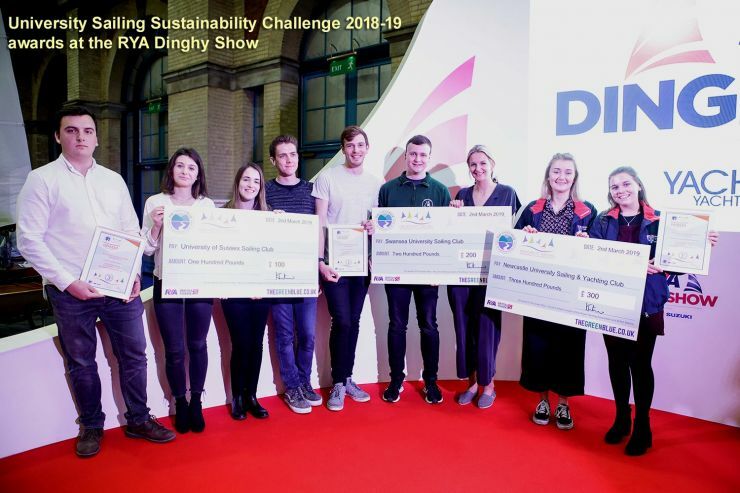 Swansea University Sailing Club clinched second place, and Dundee University Sailing Club, the University of Sussex Sailing Club and the University of East Anglia Sailing Club were in joint 3rd place. 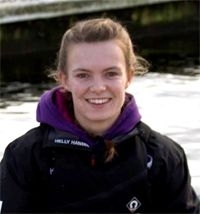 See the summary of the survey completed by 176 students and BUSA Committee’s initial response, together with new BRITISH UNIVERSITIES SAILING ASSOCIATION Facebook page. How to contribute further views.